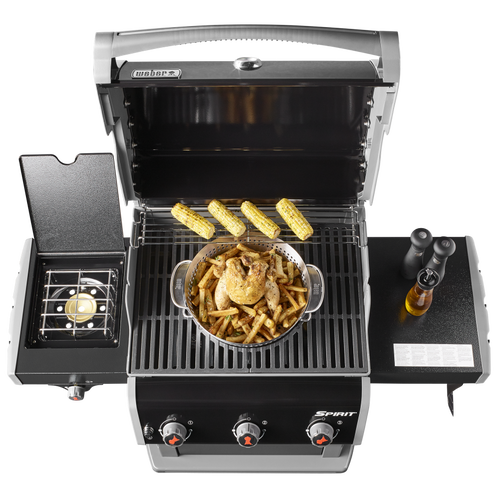 Weber, the company is known for manufacturing high-quality gas grills, loaded with lots and lots of features. 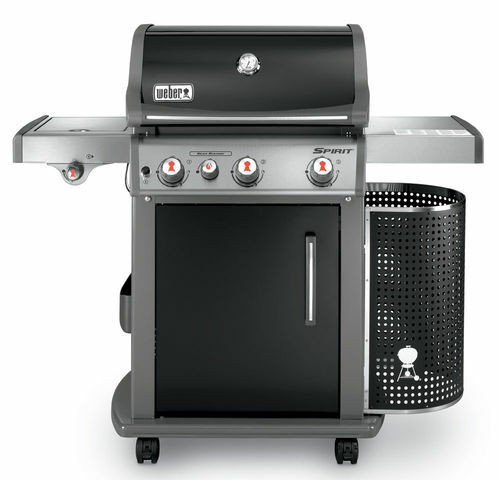 On the same note, the company has manufactured another top quality grill called ’Weber Spirit E-330’. 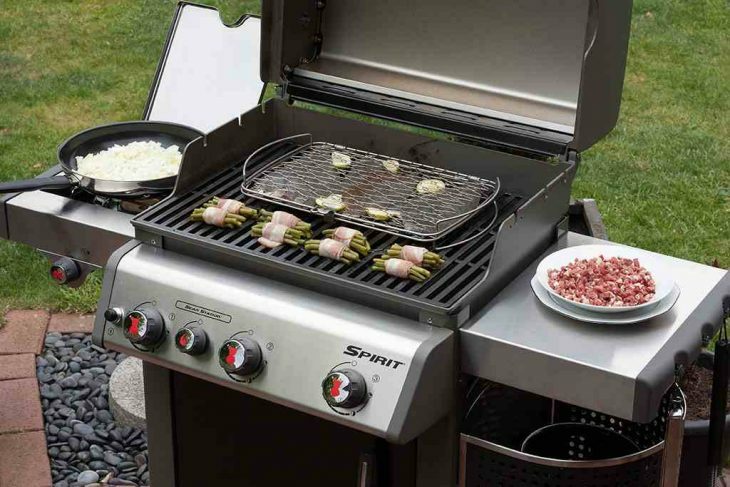 This grill comes with decent power and elegant, sleek design. It comes with three stainless-steel burners and with good cooking space that is considered ideal for an average-sized family. Apart from the main cooking area, it has a side burner of great power and also a rear searing burner. With these such features, it's pretty sure that your cooking will not be limited to the main section. It has got a cabinet style design and price of about $699; this model will surely put a tough fight over all other thousand dollar models. For better mobility and stability, there are four wheels at the base of this unit. Further, in this Weber Spirit E-330 Review, you'll get to know more about this product. One of the main Starpoint about this device its design. Whether you look at this device at day or night, you'll feel fascinated. The company has used dark silver and black shades to design this product. No doubt, this appliance will receive many whistles and bells whenever it will come over design. The control panel has multi-coloured controls and valves which has clear and specific listings, that'll help you in knowing which part of grill you're operating. Just below that, you'll find an awesome storage cabinet with one stainless steel door that helps you a lot while stocking spices, utensils and other stuff. Lastly, four caster wheels make its movement possible. This is the most important segment of the content as you'll come to know deeply about this device here. Talking about cooking space, this device has 424 square inches of main grilling area, which is not spectacular but enough for cooking meals about five's. Along with this, it has three stainless steel burners that supply total heat power of 32,000 BTUs. You might be demanding more here as three burger grill with 32,000 BTUs of cooking power is bit indigestible. That's not enough; you are also given a 12,000 BTUs side burner which helps a lot while preparing sauces and other things. Hold on, as it has another rear searing burner which has a total heat output of 7,500 BTUs. At the top, you get porcelain enamelled cooking grates, gives you a durable surface plus easy cleanability. The whole unit is built with stainless steel, so it becomes super easy to clean the stains. It has a warming rack which is made of similar material that measures out to be of 105 square inches. Besides this, the flavorizer bars it offers adds maintains the juices of your food, providing you yummy and delicious eats. Overall, it is not a powerful or biggest device but is capable of doing the great grilling. ● 10-years warranty on the cook box and burners. ● 5-years warranty on the cooking grates. ● 5-years warranty on the Flavorizer Bars. ● 2-years warranty on all the other remaining parts. It has a sleek and classic design. Has a lot of additional features. Being three burner grill, the power it yields is bit low. Low grade of stainless steel, throughout.